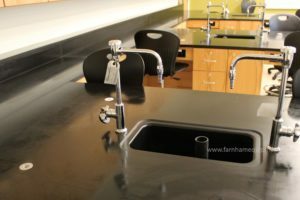 We’ve discussed spring cleaning for indoor telescopic bleachers and outdoor grandstands, now let’s take a walk into the classrooms and talk Casework and Millwork, more specifically, plastic laminate. The high-rated durability of thermofused and high-pressure laminate make it much easier to care for than real wood, ensuring years of quality performance. Routinely clean surfaces with a damp cloth or sponge, and a mild soap or detergent. Stubborn stains, such as coffee, can be removed with a household cleaner and soft bristled brush. If the mark persists, use a baking soda and water paste with a soft bristled brush. Undiluted bleach or nail polish remover can be used if the above steps do not remove the mark, but should sit no more than two minutes to avoid damaging the surface. Surfaces can be disinfected with a 10% bleach / 90% water solution. Apply the solution and wipe surface dry. Deep textures may require more drying to ensure the solution is wiped away. 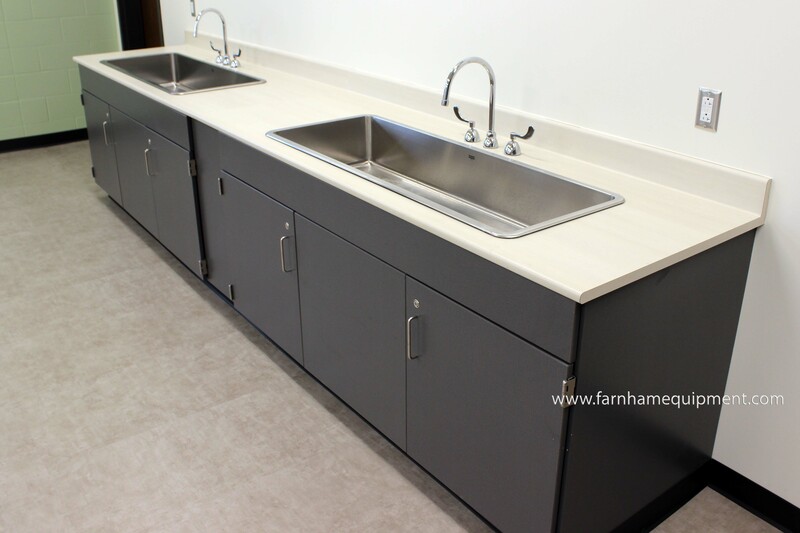 Laminate surfaces are incredibly durable but can be damaged by misuse. Avoid the missteps below to enjoy the long life-cycle of your laminate products! Avoid forceful scrubbing, especially if the surface has a gloss finish. Acidic or abrasive cleaners can damage laminate surfaces; do not use them. Hot pans and heat-producing appliances, such as an electric skillet, when set directly upon countertops can damage the surface. Use a heat shield, hot pad or trivet to protect the surface. What About Epoxy Resin Tops? Care for Epoxy Resin is similar to Plastic Laminate in the sense that you don’t want to use abrasive materials and forceful scrubbing as they will diminish the finish. With any spill, the sooner you wipe it up, the better and use a damp soft cloth or sponge. Mild soaps, again, similar to Plastic Laminate are best. For a more natural clean, you can combine vinegar and water. Treating your tops with a weekly or monthly mineral oil polish will revive the finish. Whether you need additional keys, hinges, pulls or more - we have you covered!